Government communications professionals have always felt the pressures of publishing public news and information as quickly as possible. With the boom in social media, communications has become an even more critical function of government. Public relations officers are now faced with an expectation of being open 24/7/365 to deliver real-time information to citizens. As more and more people have joined social networks, the expectation has increased for government engagement across a variety of web-based, social platforms. Social media is not the only trend changing government-wide communications. 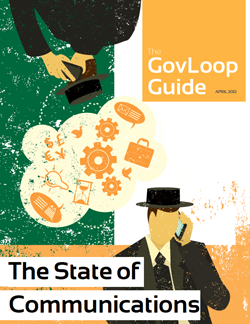 The State of Communications Report highlights the top ten trends for government communications. We’ll be rolling out each section as blog posts as well, and I am excited to hear some of your thoughts about the report.